Cancer: it’s a word that’s been a part of my life for over 50 years. I was 5-years-old when it started. The word “cancer” was never uttered by my parents. Even today, both in their 80s, they won’t say the word to describe my disease. Tumor and spot are fine, just not cancer. When I was five, my parents brought me to the hospital for pre-op testing in preparation for my upcoming tonsillectomy. My blood work revealed an elevated red blood cell count. My tonsillectomy was put on hold while the doctors sought to determine the cause of this. Additional tests revealed I had a Wilms tumor: a rare form of pediatric kidney cancer. My tonsils stayed in and my left kidney came out. This was followed by chemotherapy and months of radiation, which se verely limited the growth of the muscles on the left side of my back, but more importantly, saved my life. As I became an adult and learned the details of my childhood cancer experience I felt that someday cancer and I would cross paths again. When I turned 50 my doctor handed me a piece of paper and said, “Happy birthday.” That gift, a prescription for my first colonoscopy, saved my life. An “apple core” tumor was discovered in my transverse colon; stage II was the diagnosis. I had a semi-colectomy, but because I was diagnosed as stage II, my oncologist said we should forego chemo. I went on with life. On New Year’s Eve of 2011, I asked my girlfriend to marry me and on December 1st of 2012 we made it official. We went to Jamaica for our honeymoon and when we returned it was time for my next CT scan. The scan revealed a spot on my liver and a biopsy was ordered for right after Christmas. On New Year’s Eve, 30 days after Linda and I were married, my phone rang. “Lee, it’s Dr. Strosberg. I hate to call you on New Year’s Eve with this news…” I had the liver surgery and six months of FOLFOX. In late 2014, I met some friends who were launching podcasts. 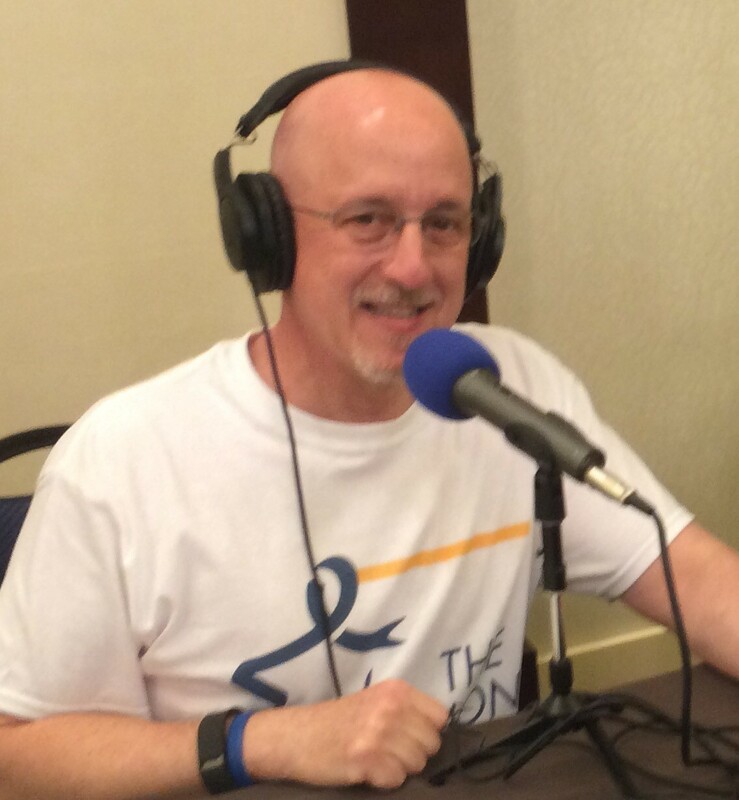 After some research I learned that no one was doing a podcast to tell the stories of people touched by colorectal cancer and in February 2015, The Colon Cancer Podcast was born. Since its inception, I’ve interviewed over 100 people – patients, survivors, caregivers, and medical professionals – to provide information, inspiration, and hope to those affected by this awful disease. As of March of this year, I will celebrate my 7-year “cancerversary.” Over the last three years, I’ve been working at keeping my cancer at bay. 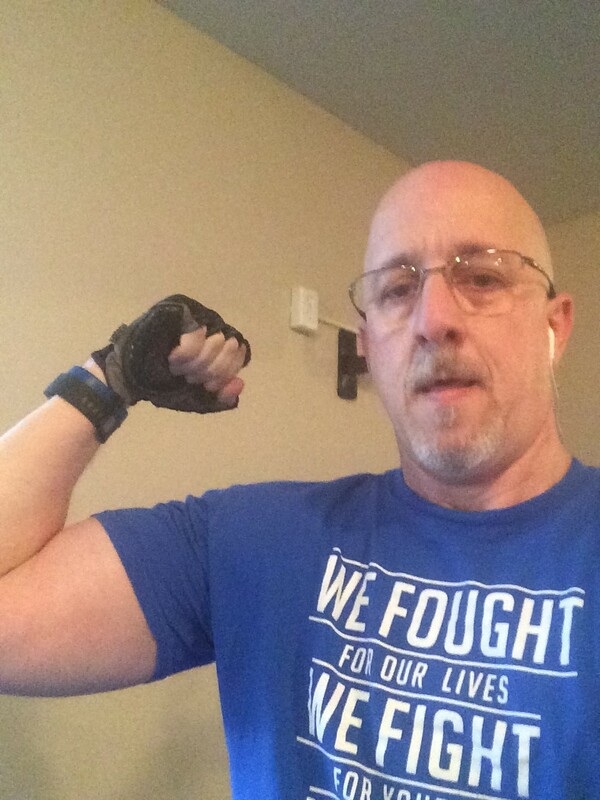 I’ve had two ablations (surgeries removing body tissue), and two SBRT (stereotactic body radiation therapy) treatments to address small, slow growing lung metastases; but it hasn’t kept me from working out at the gym five days a week or realizing how incredibly fortunate I am to be able to share my story and the stories of so many.